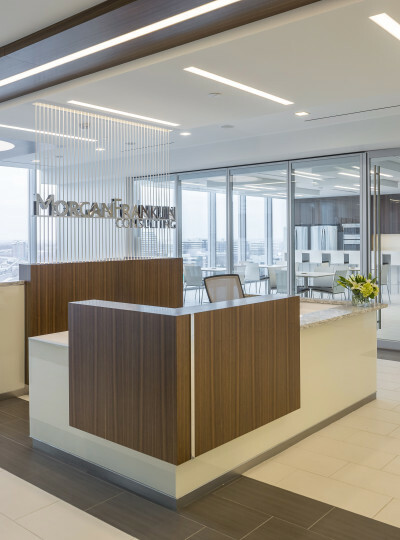 The inspiration for the schematic spatial organization of Morgan Franklin Consulting’s office space was rooted in the ideas of timelessness, flexibility and openness. 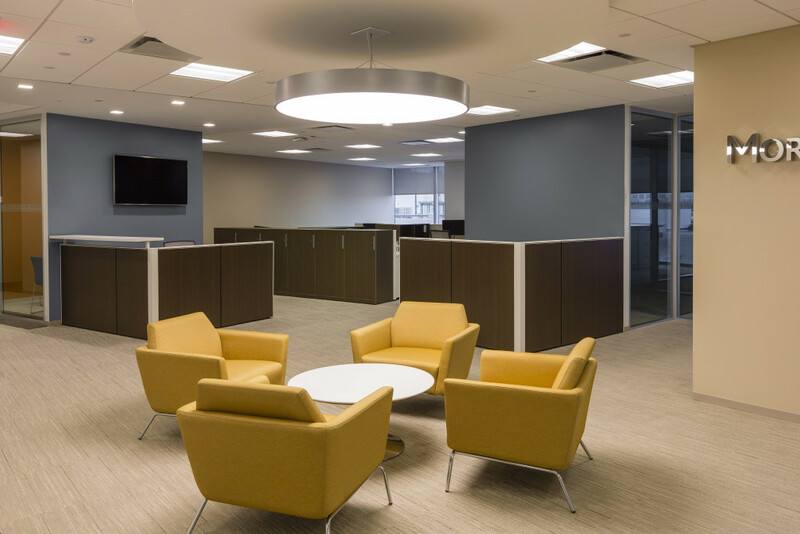 The design continuously evolved into an acknowledgement of the CEO’s vision and aspiration to “throw the football” from one end of the office to the other. 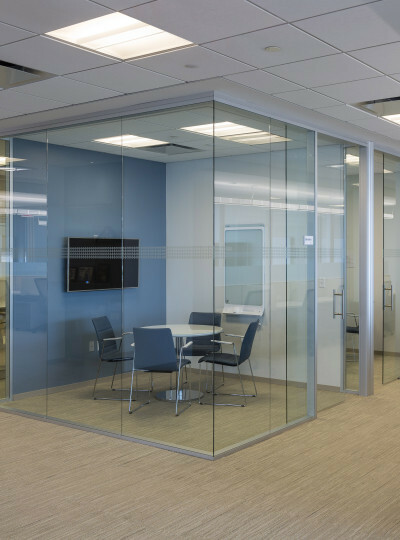 This simple concept was a nod to the company itself and how they intended to promote a collaborative, transparent workplace environment. Transparency was sustained through an assortment of design choices: full height glass office fronts, open hotel focus banquettes, touch down team areas and bench style furniture. 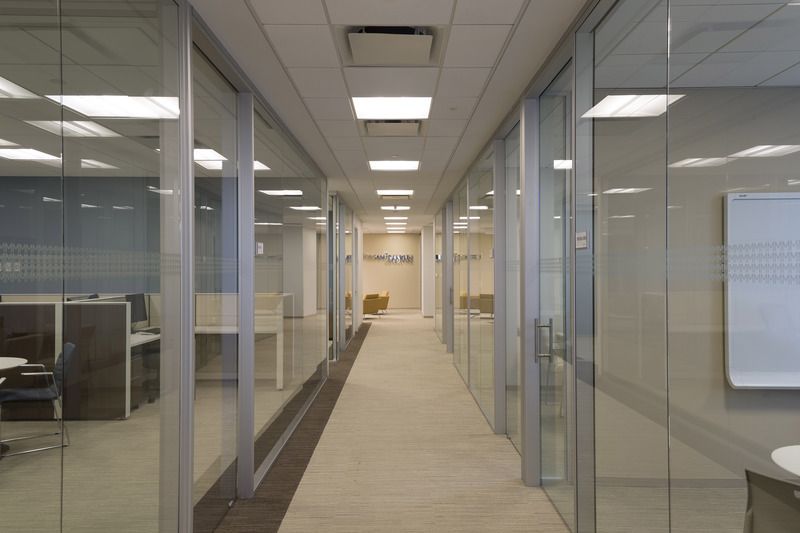 As a consulting firm, the client presented the challenge to design a space that supported a continuously changing influx in employee presence on a day-to-day basis. 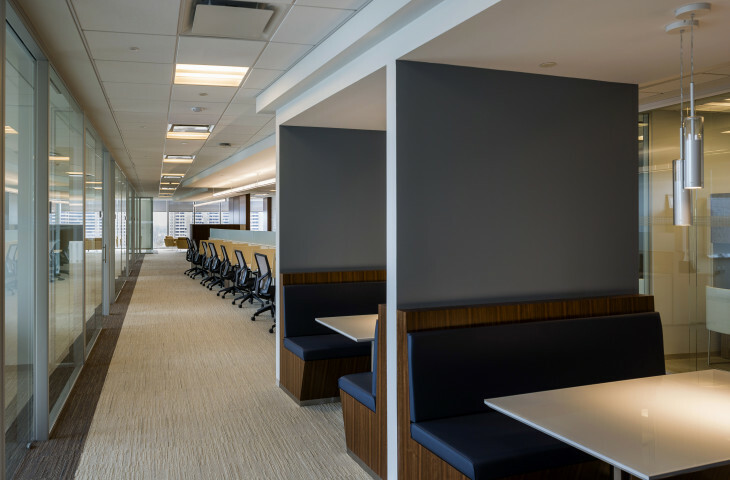 To respond to this influx, a variety of work spaces were threaded through the office space ranging from heads down work areas to communal, team building, collaborative spaces. 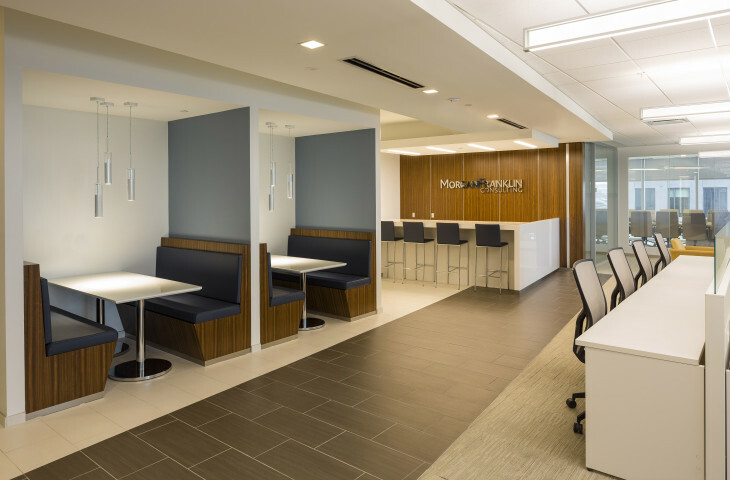 The goal was to provide the end user with an assortment of environments to choose to work in that best suited their needs, lending to a more proficient, favorable work environment. 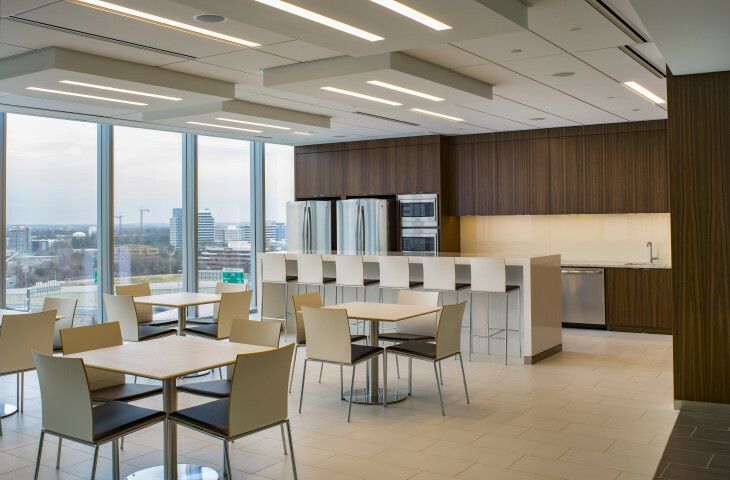 Larger assembly spaces, two conference rooms and break room, were positioned on either side of the reception. 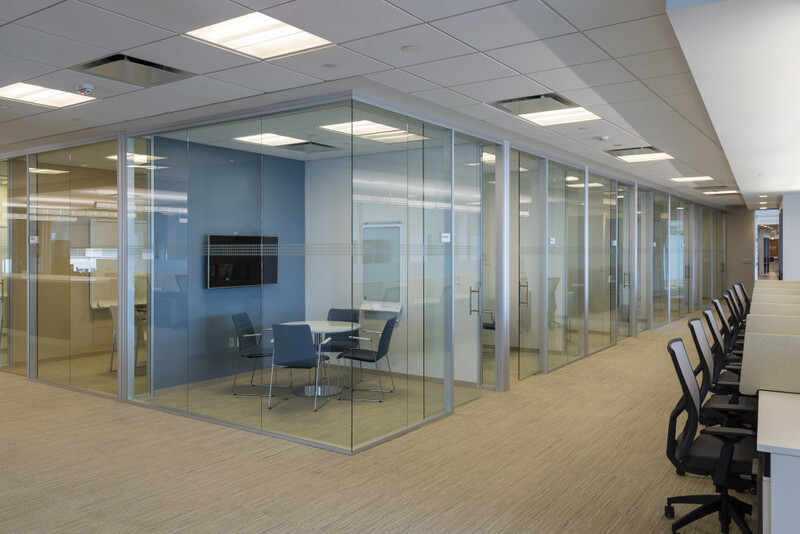 These three spaces were designed to be the heart of the office, a pure hinge from which the remaining space was designed around. 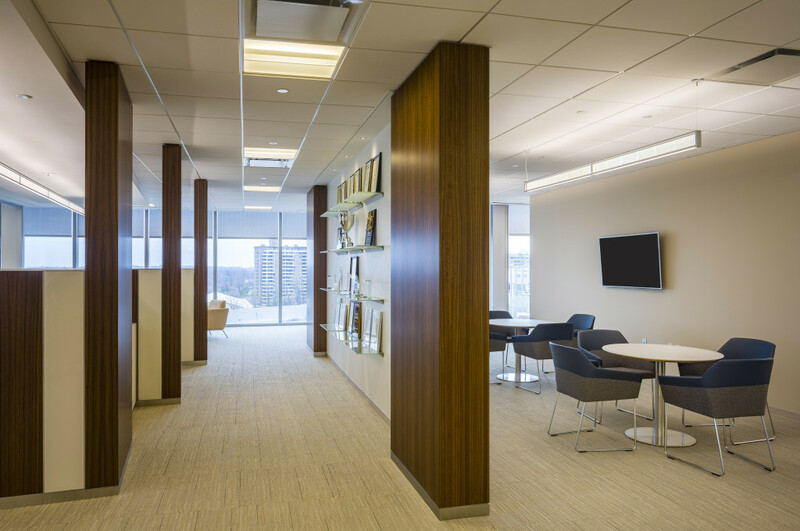 The Architect worked with the client to formulate a collection of descriptive words that fully encompassed the cores and values of the company. 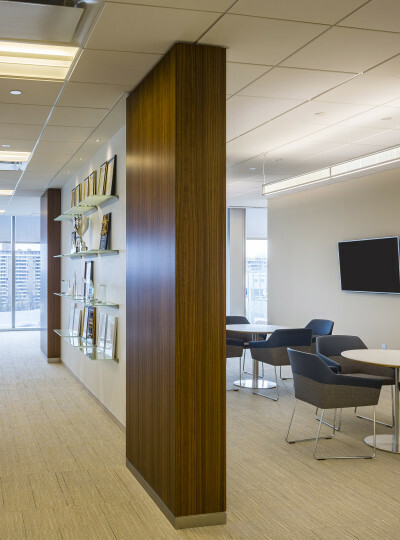 Strength, rigidness and stability were filtered through an architectural lens as the design of the space progressed. 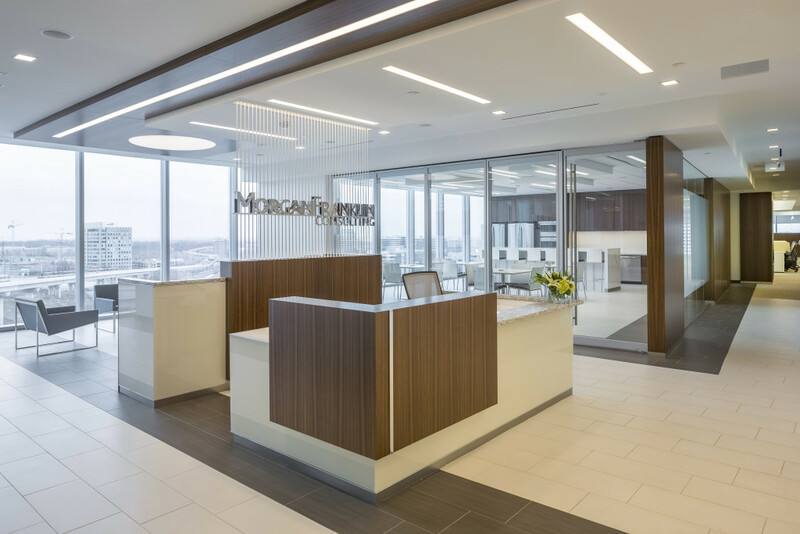 Every space, every detail, from the selection of finishes to the custom tenant signage at the reception embedded these concepts in its design. The end result was a tangible environment that holistically embodied the values of the company it served.